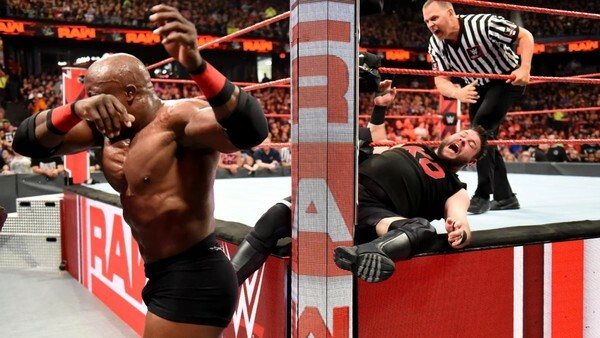 Bobby Lashley and Kevin Owens appeared to pull off a rare double last night as their Monday Night Raw opener ended with recent returnee Lashley and his increasingly obnoxious mouthpiece Lio Rush brutalising the outnumbered 'Prizefighter' after cruising to victory. Rush antagonised Owens and the Chicago fans alike with his relentless "Lashley" chants on the house microphone, with Owens earning rising cheers for his comebacks. The pops peaked when the former Universal Champion dropped Bobby with a Stone Cold Stunner, but the subsequent kick out marked 'KO's last moment of magic in the match itself. In something of a rarity in 2018, WWE actually used an angle to write an injured performer out of action. Owens is reportedly due to undergo minor surgery in the coming weeks, and WWE.com were pinning his impending absence on Lashley's ultra-aggressive post-match assault. He repeatedly smashed both of Owens' legs off of the ring post as a chorus of boos reigned down from the typically loud Chicago crowd. WWE landing in one of their domestic hotspots may have had something to do with why this week's entire episode was unusually fiery. 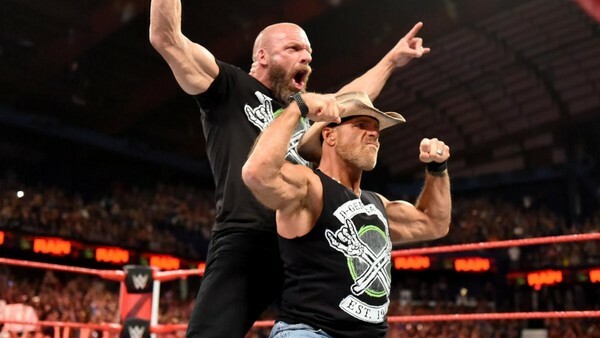 The episode had already opened with Shawn Michaels and Triple H rubber-stamping the inevitable D-Generation-X/Brothers Of Destruction match for Crown Jewel, ahead of another Ronda Rousey & The Bellas/Riott Squad match that resulted in Nikki and Brie decimating the Raw Women's Champion. Elsewhere, Trish Stratus and a returning Lita set up a newly-enhanced Evolution match with Alexa Bliss and Mickie James, Kurt Angle surprised Baron Corbin with an incognito entry into the Saudi Arabia supershow's 'World Cup' and Dean Ambrose again left Seth Rollins and Roman Reigns to question his loyalties following a Shield loss to The Dogs Of War in the main event. Chicago's rich history with WWE has been tainted in recent years thanks to the predictable attempts from the audience to take over events with "CM Punk" chants. 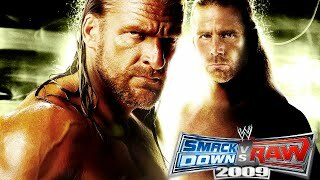 It was encouraging that the company chose major angles instead of a Stephanie McMahon b*llocking to reinvigorate the site of the legendary Bret Hart/Steve Austin double turn and controversial WrestleMania 22 clash between the aforementioned Stratus and James.